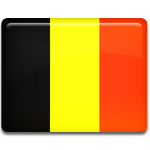 National Day is one of twelve public holidays in Belgium. It's annually observed on July 21 to celebrate the day, when Leopold of Saxe-Cobourg swore allegiance to the new Belgian constitution and became the first King of Belgium. In 1830 the southern provinces of the United Netherlands started rebellion against Dutch rule. A long period of economic and religious disparity only added fuel to the fire. The Dutch lost much of their area and Belgium de facto gained independence. A National Congress was created to draft the Constitution. The Congress decided, that Belgium would be a constitutional monarchy, that associated with political stability, and called upon German prince Leopold of Saxe-Cobourg to be the first King of the Belgians. His coronation took place on July 21, 1831. Celebration of National Day in Belgium starts with a Catholic service Te Deum in Cathedral of Brussels. The service is attended by the King and other dignitaries. Military parade is organized in the afternoon to pass by the Royal Palace and around the Parc de Bruxelles, the largest park in the center of Brussels. A large firework show starts in the evening in the Parc de Bruxelles.